Looking to join the PHASTAR team? PHASTAR work with small and large pharmaceutical and biotechnology companies to provide statistical consulting and to summarise, analyse and report clinical trials. Our top priority is the quality of our work, ensuring we give you the best statistical advice, and analyse your clinical data optimally, getting it right first time. There are lots of different ways to analyse a set of data. We can advise on how to get the most out of your data. Statistics is an art! We can work with our own internal systems and processes or seamlessly incorporate with your teams. We can manage and deliver whole clinical trial programs, or give you advice on a trial you are planning. Our vision is to become the supplier of choice for statistics to the pharma and biotech sector, by delivering quality advice and results, on time and on budget. Kevin Kane, PHASTAR's founder, started working with pharmaceutical companies in 1990. After a number of years in a variety of statistical positions of increasing responsibility, Kevin hired two other statisticians to join him in 2007, and PHASTAR was born. Due to our reputation for outstanding quality, demand for our work has steadily increased. In 2012 we moved to larger premises in Chiswick, West London (UK). PHASTAR remains a privately owned, successful and growing company. Our focus is always on the quality of the statistical advice and clinical trial reports that we produce. At PHASTAR, we do things differently. We have a unique approach to the analysis of data, "The PHASTAR Discipline", that all new team members are trained in. Additionally, we have operational measures to ensure that the vast experience of our team is leveraged into every single report that we produce. Kevin started his statistical career in 1990 with Amgen. After 3 years, he moved to Wellcome and stayed in the GSK family of companies for a number of years. Having a variety of positions, including project statistician and technical support allowed him a broad oversight of the clinical trial process. Kevin set up PHASTAR in 2007, and is a Chartered Statistician and was a Board Member for PSI (Statisticians in the Pharmaceutical Industry). He is still actively involved in providing statistical support. Andrew began his career in statistical programming some twenty years ago and subsequently held various technical roles in contract research organisations. He has served on several boards and has worked in both the UK and the USA in leadership roles with a focus on growing businesses. 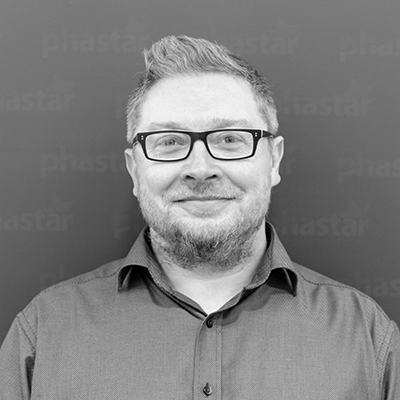 Andrew is responsible for the operational delivery at PHASTAR as well the oversight of Quality Assurance, Finance, Administration, and Human Resources. He holds an MBA from the University of Newcastle and is currently completing a Law degree. Josh has many years industry experience, developing and leading a number of biostatistics departments. 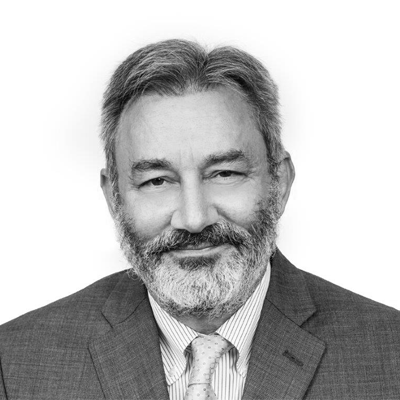 He has extensive regulatory experience (IND, CTA, BLA, MAA, and post-licensing) in all geographies, including submission strategy and preparation; and has participated in multiple advisory committee meetings at the FDA for new therapeutics (small molecule and biologics). While heading up the US statistical division at Glaxo (GSK) he managed a team of 65 staff supporting over 40 development programs, with an average of 4-6 NDA/sNDA submissions per year. He has also introduced statistical services to multiple organizations and grown teams of up to 200 statisticians and programmers. Josh leads our US division based in North Carolina and is actively involved in providing statistical support. 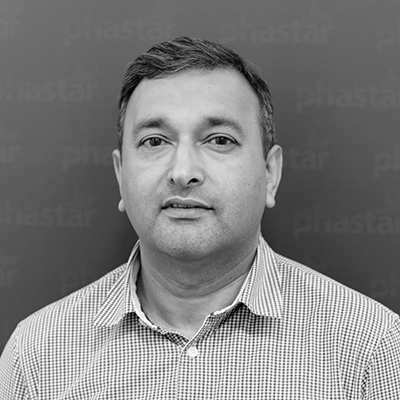 Prior to joining PHASTAR, Nadeem had over 26 years' experience at GSK in a variety of analytical roles supporting drug development through to commercialisation. During his early career, he provided statistical consultancy to non-clinical and clinical projects across multiple therapeutic areas and phases of development. He then moved on to lead global strategic initiatives aimed at simplifying and streamlining the clinical development process. He has led statistical & programming departments in the US, UK and offshore locations to ensure high-quality delivery of a broad portfolio of projects. More recently, Nadeem was responsible for driving the GSK statistics and programming resourcing strategy globally, building strong partnerships with external functional service providers, while managing internal stakeholders. Nadeem is responsible for account strategy and management for some of our largest clients. Sheelagh started her data management career in 1990 where she worked as Assistant Director of Data Management, before setting up Exp-e-data in 2000. Sheelagh worked in Exp-e-data for 16 years, and then joined PHASTAR with PHASTAR's aquisition of Exp-e-data. 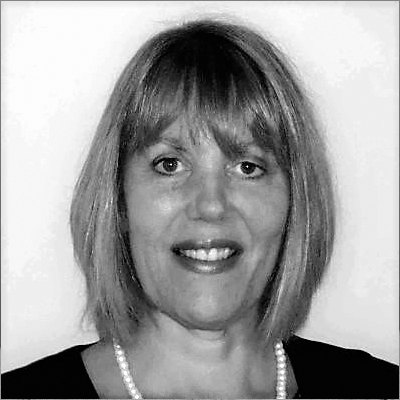 Originally having a PhD in Pharmacokinetics, Sheelagh has experience of setting up and running clinical trials on a variety of data collection platforms. Michelle started working in the pharmaceutical industry in 1998, working in both pharmaceutical companies and CROs. Working as a statistician, she has experience primarily working in phase II-IV clinical trials across a wide range of therapeutic areas. She has experience in leading multiple projects on a global basis, as well as resource and line management. Michelle's particular area of interest is quality management, using her experience to contribute to continual process improvement within the company. 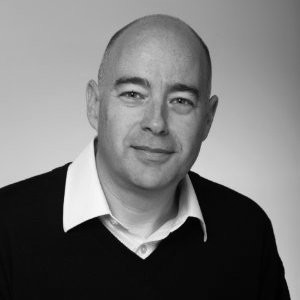 Andrew has over sixteen years of experience providing statistical consultancy support to project teams in the Pharmaceutical Industry. This has been across non-clinical research, early and late-phase clinical trials and for both small molecules and biopharmaceuticals. Working on multiple global projects simultaneously, he has provided proactive and expert leadership in the strategic application of statistical thinking to those teams and has been accountable for ensuring the timely delivery of quality statistical deliverables such as analysis plans and statistical reports. He has experience across multiple therapeutic areas including Oncology, Respiratory, Inflammation, and Neuroscience and is currently the joint-author of the literature review section of Pharmaceutical Statistical Journal. 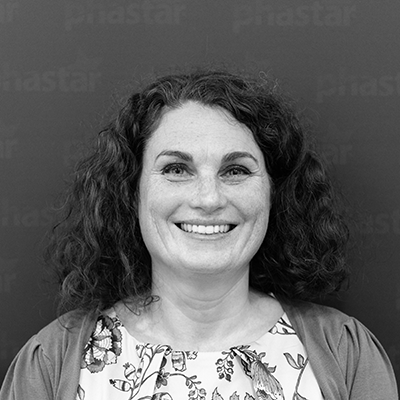 Alison spent 25 years at Pfizer in Sandwich working on a variety of pre-clinical and clinical projects before joining PHASTAR as a statistical manager. Alison has strong organisational and analytical skills and currently leads large team of statisticians and programmers providing services to a large pharmaceutical company. 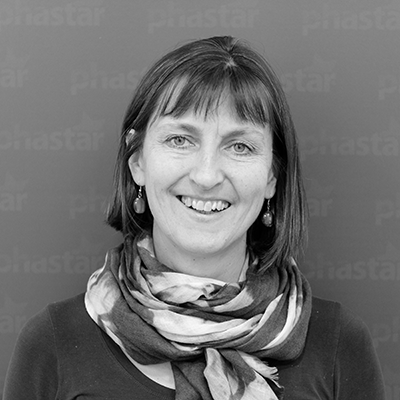 Alison has a strong focus on ensuring the clients' needs are met, and also on ensuring staff development across the whole PHASTAR organisation.